Very lightweight so not suited to rougher walkways. Basket is too small for most changing bags. 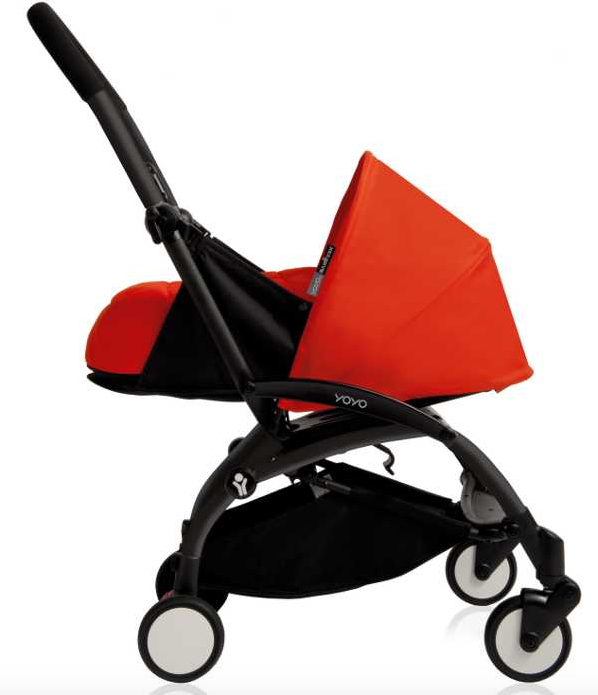 We have this as our second buggy and use it in the city and also when we fly. It makes travelling as a solo parent so easy because you can take it all the way to the aeroplane and then just fold it and pop it on your shoulder before going in the overhead locker. It is really light weight and easy to steer with one hand, it has a rain cover which some of its competitors don’t have. Baby is really comfy in it. It’s a fantastic buggy. The yoyo is so easy to use & a space saver. I bought the yoyo as I live in London & wanted a small easy to use buggy & the yoyo is perfect for me. I love how easy it is to use esp the one hand folding. The newborn package is easy to fit and is so compact. 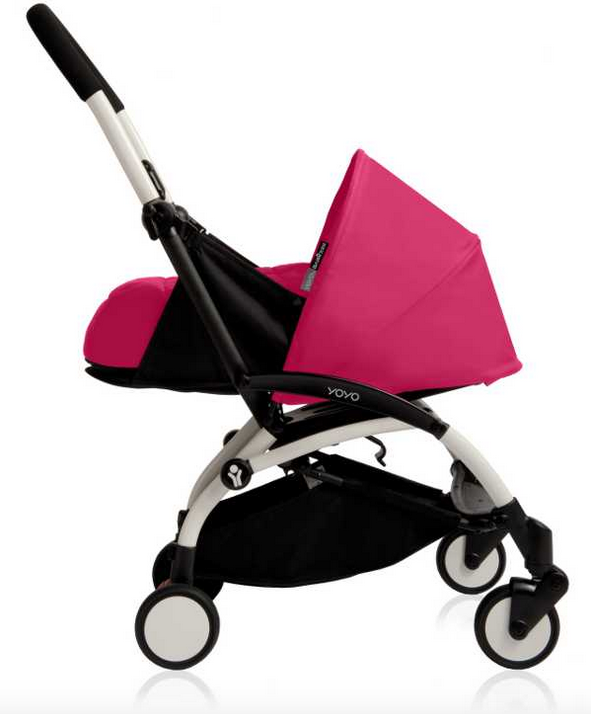 Baby is/looks so comfy yet is a totally lie flat buggy so great for newborns. Has a harness too so they don’t roll about, no fear going up and down kerbs! Lovely to manoeuvre, is light and can turn on a penny, but, because the wheels are so small, it isn’t great in snow or slush, so one falling of snow can put the buggy out of action for a week or so, until it’s totally disappeared. It really does fit in an overhead locker too. In newborn mode, the hood is a great size and not once did my baby have the sun in her eyes, yet wasn’t totally covered to the point I couldn’t see her, it was remarkable they’ve got the angles just right. All covers remove for washing too. 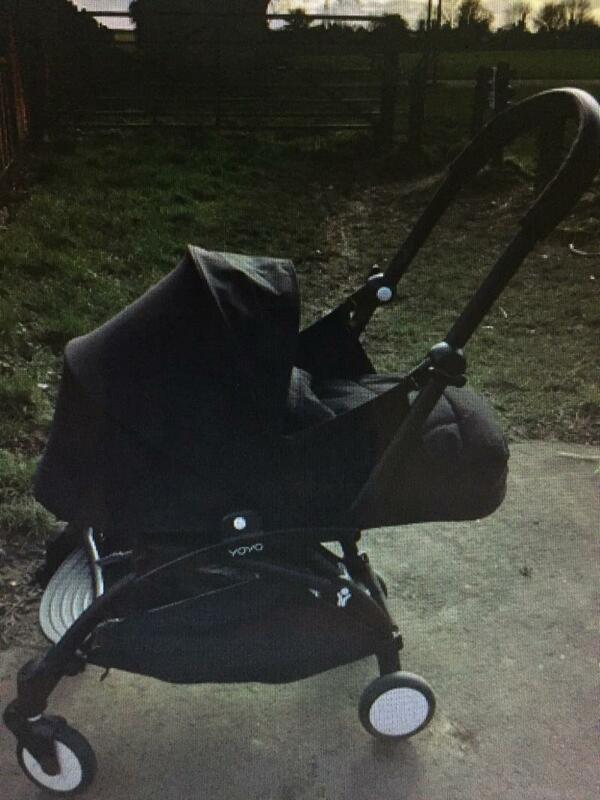 I LOVE this pram. Love it. I have a tiny car (Citroen C1), and was worried I wouldn't be able to get a pram that would fit and would have to get a new car. Then I came across the BabyZen Yo-yo +. Not only can I fold it one handed in less than 10 seconds, but it fits in the tiny boot of the C1, with space to spare. It's also light enough that if I ever have to go up a flight of stairs, or lift the baby on to a train I can do it without any assistance. Downside - it's quite small, my baby is at the stage where he really does fill the newborn nest but isn't yet sitting up independently and is too young for the next stage. Short lived problem, and probably only an issue for those of us with giant babies. Space saver in every possible way! And so easy to steer with one hand! Babyzen yoyo+ is just amazing! I wish I had bought this pram with my first child. It is so neat and compact to take the newborn out with parent-facing function. Initially I had some doubts about its steering and I thought other reviewers were over-rating this. But Gosh, it is just amazingly easy to push the buggy with one hand. So ideally for parents with a young tot in hand. Also, it folds so neatly, a great space saver for those needing the space in the house and in the car. Cannot wait for my little one to grow bigger to use the 6M+ pack. I’m so glad I went for this buggy - we’re still using the newborn pack so can’t comment on the pushchair but having a small flat with narrow staircase our options were limited for a travel system. When I saw that the Yo-yo is also cabin approved, it was a no brainer. Everyone comments on what a neat little buggy it is and although my 3 month old is tall and weighs over a stone, he still fits nicely in the pram. It's very easy to fold, my daughter love it and she love sleep in there. It's fantastic and easy to use. 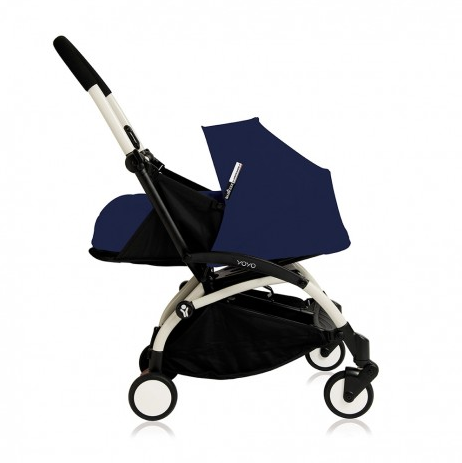 Very convenient pram, very light, easy to fold and unfold. Has the big advantage that it can be taken in the plane as a carry on so no need to check it in. Only negative is the comfort vs. Bigger prams but given baby doesn’t spend anyway hours in the pram, this is more than sufficient. 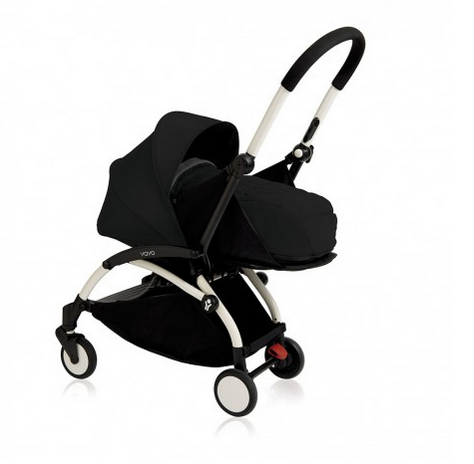 The Yoyo Zen pram is a fantastic pram to travel with and even pop into town. Once folded, it fits behind the front seats of the car which is great when the boot space is needed. 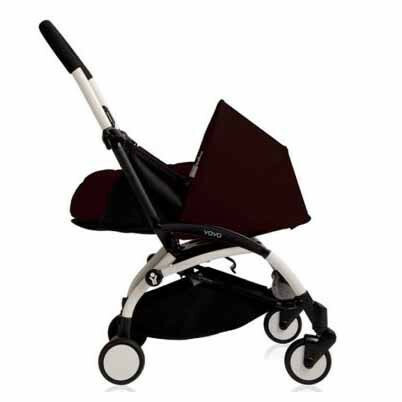 It is also the only pram which can be used as carry on luggage on planes. It is easy to fold, can be easily done one handed and the same goes to unfold it. 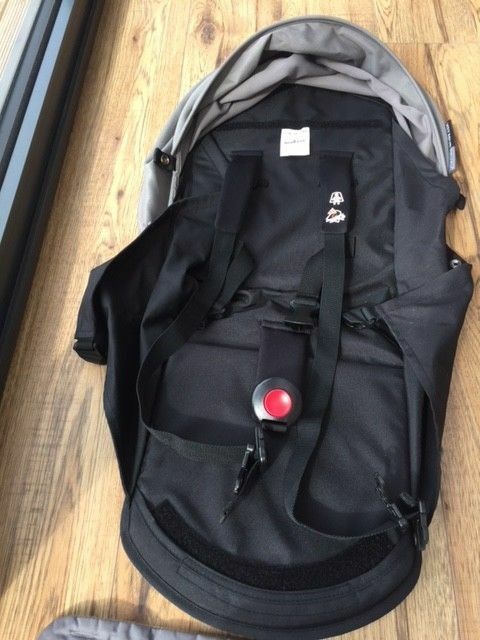 Very light, it can be carried on on your shoulder once folded thanks to the strap specially provided. The only downside is the stability which is ok but not as good as bigger prams, especially on uneven grounds such as cobbles. Use the BABYZEN YOYO+ from birth using the fully-reclined parent-facing Newborn Nest, with 5-point safety harness, newborn head support and footcover to keep your child safe and comfortable. 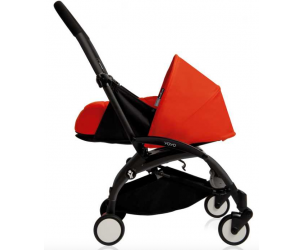 Then, when baby growns and the time comes, transform the BABYZEN YOYO+ into a practical pushchair where your little one can face-forwards and take in the world. All you have to do is remove the Newborn Nest, and add the Seat Base and 6+ colour pack. The YOYO+ frame can also become a convenient travel system with just one click when used with a car seat (adapters sold separately).